It is an international company that handles the production, packaging, marketing, distribution and export of our fruit, vegetables and spices Hidrorgan international food llc is committed to offering products with bad quality standards for the domestic market and abroad , we Primus GFS certification, good agricultural practices, good manufacturing practices in both orchards and packing area of our warehouses with a great system tech estardares andwith the highest world quality. Hidrorgan international producer LLC is an American company located in McAllen, Texas. And Miami florida Hidrorgan Studio imports fruit, vegetables and spices from Mexico for distribution to different US states and Canada. 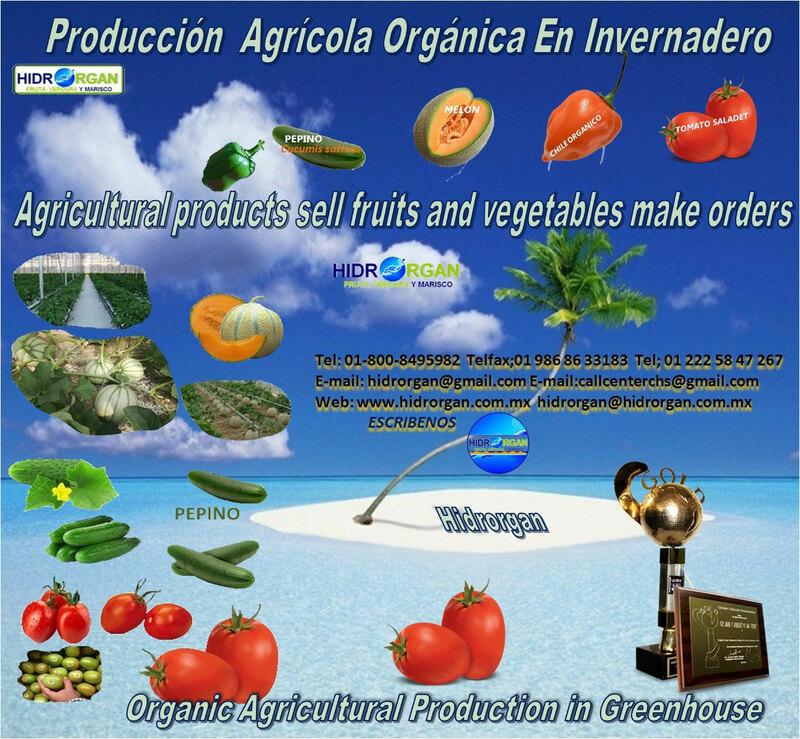 Hidrorgan international producer llc is constantly looking for technological innovation in its production centers are located in Mexico in different states, to expand its line of perishable organic products Premium certified quality in our centers unique production in the world. Our products are produced with the highest agricultural technology in the world, our innovation is at the forefront of origin and organic certification, we are producers of habanero chile certified organic origin of Mexico's Yucatan Peninsula. Hidrorgan with 100% organic certification. Why work Hidrorgan international producer llc? Hidrorgan production in a few years have achieved credibility and brand positioning to manage and represent. We make sales abroad and within the US territory have consolidated a strong group of people concerned about the constant improvement of our products that are sustainable and organic. "From Field to Your Palate"
Hidrorgan LLC (Limited Liability Company) leader in sustainable agricultural products and environmental services to national and international company, allowing to position ourselves strongly in the market encompassing our experience and delivering great service to our business partners, we create tiesThey go beyond our reliable service, becoming our strategic and lasting partners in our chain of production and marketing in the international framework, encompassing strategies that we carry have a great human resource and equipment to deliver a high level of our services and products. 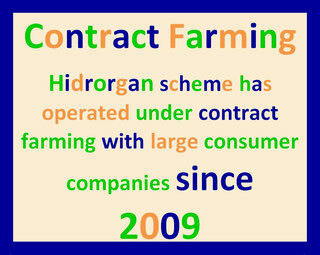 Contract farming is a practice whereby agribusiness, exporters, traders, chains, supermarkets and domestic suppliers, and other stakeholders engaged in primary production hidrorgan develop their production as agreed with their commercial partners and suppliers, using formal contracts under the laws of each country and international and tena for legal certainty in this area. Trends include: demand for healthier foods, social concern, bioenergy, global warming, the biotechnology revolution, and so on. These factors will continue to influence the coming years in the demand for agricultural products, which entails significant challenges in organizing the supply of products through better coordination between producers and the market, where contracts will play a decisive role. Contract farming is part of one of the most effective institutional mechanisms to achieve this integration. A successful implementation of agricultural contracts is the proper incentives for participants. Increase the level of production quality and safety, it requires not only sustained, but institutional mechanisms that integrate with networks of value, and thus can access the benefits of globalizing our marketing growth markets. -a Contract farming increasingly widespread practice in which farmers produce goods for certain buyers previously acordados- quantities and prices has a new tool to guide both parties to establish solid contracts and dispute resolution procedures. FAO reported today, millions of farmers around the world produce under some form of contract and numerous industries in many producing countries have adopted this system as their primary mode of production. In turn, changes in global food systems and consumer preferences have been a key factor in this trend, because with the rising demand in both developed and developing countries, and processing enterprises traders need a steady and high supplies, which are not always able to get by buying in the open markets of raw materials volume. At the same time, trade and consumption of more demanding standards for freshness, quality, origin and appearance are leading contractors to seek greater control over the production process to ensure consistent quality, including asking for contracts farmers to use new technologies that just are not able to access on their own, detailed the FAO. According to reports, in the best of cases, contract farming helps contractors to carry more weight in production, quality control and pricing, while farmers benefit from having access to the guaranteed income market. They can also acquire new productive assets: under certain types of contract, buyers are committed to supporting producers, providing them with agricultural inputs and equipment, and technical advice. In principle, contract farming can improve farmers' access to markets and boost their income, while ensuring that food companies have a stable supply of products that meet their quality standards. But for producers and buyers mutually benefit from contract farming is essential to establish strong and transparent contracts because as in any contractual relationship, there are potential risks, and farmers can sometimes lose out. So that all parties benefit equally, clear and transparent contracts, supported by an appropriate legal framework is needed, as when there are no solid contracts, the most powerful buying companies that farmer--always can use their bargaining power for short-term financial gain. At the other extreme, farmers often have limited resources to resolve legal disputes. Contractors, on the contrary, they risk that farmers engaged in parallel sales: selling goods produced under contract to another buyer at a higher price. This can lead them to choose not to buy from small producers, to avoid this kind of opportunistic behavior. when signing contracts to sell their products "The goal is that no product is delivered without a contract to back it up." It is the only guarantee against abuses on both sides. Compulsory contracts between the innovations introduced on the Food Chain hidrorgan recommends eating eliinar contracts and unfair commercial practices. Regarding the procurement regime, the main contribution lies in the mandatory food formalized in writing contracts signed between operators in the chain, which will be formalized before the start of benefits. This is intended to guarantee legal certainty and fairness in trade relations. The contracts should incorporate the essential elements, such as identifying the parties, object, price, terms of payment, delivery of goods, rights and obligations, duration, freely negotiated by the parties. Logistics and security - Export of fruits, vegetables and spices organic certifications. Six years have passed since it was launched in the PTI after the problem of E. coli bacteria that caused problems in impact and perishable. This tragic yet preventable event revealed the need for a better approach to identify contaminated food and how to reduce their impact on consumers and industry. The Product Traceability Initiative, sponsored by the Canadian Produce Marketing Association, GS1 US , Produce Marketing Association and United Fresh Produce Association, it is designed to help the industry maximize the effectiveness of current screening procedures, while developing a standardized industry approach to enhance the speed and efficiency of systems traceability for the future. With this new measure can uniquely identify and unique products, logistic units, providers and facilities; and meet demands of multiple local and international regulations and requirements of individual customers. Many programs of internal and external traceability to effectively track and trace the product and the supply chain, achieving traceability of the entire chain are needed. Currently, most companies have programs of "internal" traceability, but not the programs needed to "external" traceability. • Internal Traceability = confidential or proprietary data and processes companies use within their own area of ​​operations to track / trace product. • = External traceability processes and data exchange business taking place between trading partners to track / trace product. 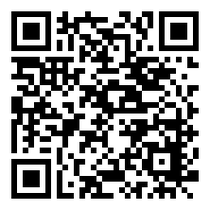 • Whole -chain = + Internal traceability External traceability. The ITP uses a Global Trade Item Number (GTIN) to achieve external traceability. A number GTIN includes a GS1 company prefix that can be easily incorporated into a bar code UPC and works with RFID or human readable codes. It also includes a unique reference number. The "GTIN Allocation Strategy" has been specifically created to help providers ensure consistency in the allocation of GTIN cases using standard product attributes to organize and classify products for GTIN allocation. "No integrate ITP solution means out of the market"
Apple tops the list published by the Environmental Working Group, as the most pesticide contaminated food. Mexico City, July 28 (HOWEVER) .- On July 21 researchers from the University of Nevada, Las Vegas, USA, revealed that various brands of hot sauce imported from Mexico contained dangerous levels of lead to humans . Culiacan, Sin.- red tomato plantings in Sinaloa practiced in staff and no storey, so it is unfair that US authorities suspected disseminated outbreaks of salmonellosis in its territory, possible consumption of vegetables originating this entity. The secretary of Agricultural Development, Jorge Kondo López, scored refusal to Mexican tomato exports in their ball and Roma varieties, spread to the producing areas of Florida and Sinaloa, they are under investigation campaign. Kondo Lopez said officials Mexican agriculture and Sinaloa are attentive monitoring that is occurring in the United States, in relation to outbreaks of salmonellosis in several cities of that country, for the results of the investigations. CULIACÁN, Sin.— Las siembras de tomate rojo en Sinaloa se practican en vara y no a ras del suelo, por lo que es injusto que las autoridades de Estados Unidos difundan sospechas de brotes de salmonelosis en su territorio, por posible consumo de hortalizas originarias de esta entidad. El secretario de Promoción Agropecuaria, Jorge Kondo López, calificó como campaña negativa a las exportaciones mexicanas del tomate, en sus variedades bola y roma, el difundir que las zonas productoras de Florida y Sinaloa, están bajo investigación. Kondo López indicó que las autoridades de agricultura mexicanas y de Sinaloa están atentas al seguimiento que se está dando en Estados Unidos, con relación a los brotes de salmonelosis en varias ciudades de ese país, para conocer los resultados de las investigaciones abiertas. 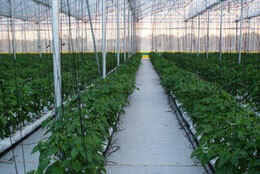 to improve agricultural production at a low cost "
high quality crops to market in a competitive market. organic production certifications controlled production process .